Putnam County Playhouse: "Little Shop of Horrors"
The musical Little Shop of Horrors continues the 53rd season of Putnam County Playhouse. 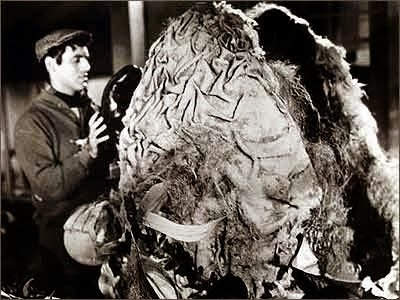 Little Shop of Horrors was first a low-budget film directed by Roger Corman in 1960. The musical version was first performed Off-Broadway in 1982. It was created by Howard Ashman and Alan Menken, the team later responsible for Disney’s The Little Mermaid. A film version of the musical was released in 1986, and it was most recently revived on Broadway in 2003. Director for this production is Bryan Schroeder. Musical director is Kathi Elliott. Technical director is Matt McClaine. Joining Elliott in the pit are Marilyn Burdsall, pit conductor; Michael McClaine, percussion; and Drew Brattain playing bass guitar. Assistant director is TJ Tincher. 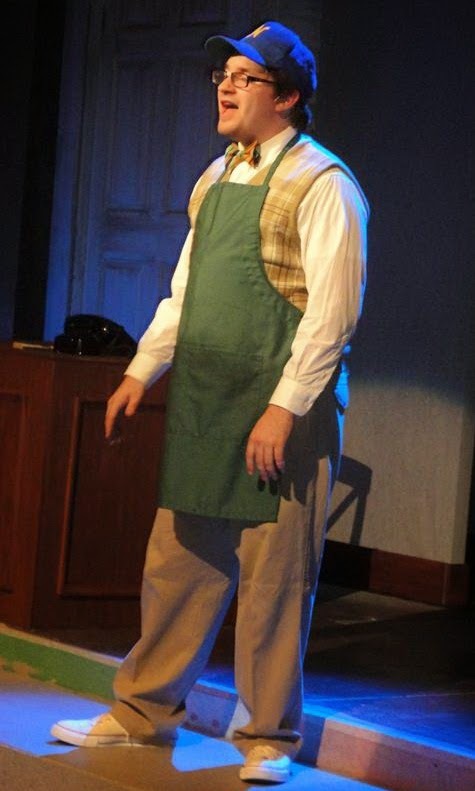 Leading the cast is Dustin Bond as Seymour Krelborn, an assistant in a Skid Row Flower Shop. He is in love with Audrey, played by Meghan Armitage. Taking the role of the shop owner, Mr. Mushnik, is David Roberts. When Seymour discovers a unique plant, his life changes forever. He has no idea that Audrey II wants to take over the world one city at a time, and it includes Seymour in its plan. A trio of neighborhood urchins comment on the proceedings in songs reminiscent of those sung by 60’s girl groups. 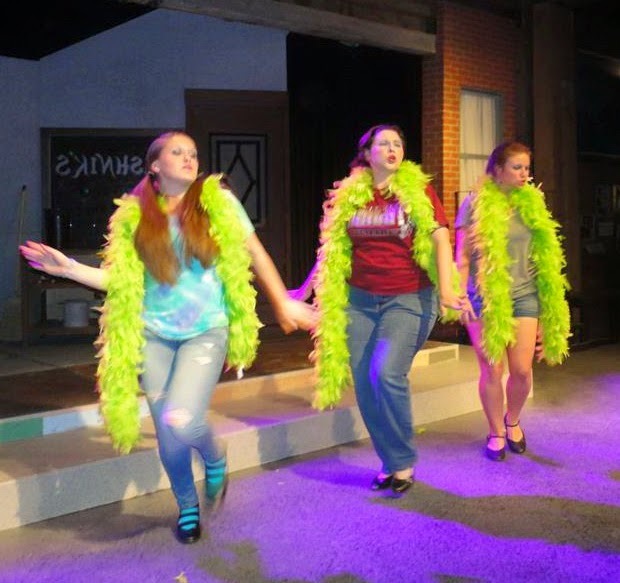 The trio are Ashlee Anne Vitz (Ronnette), Hannah Brattain (Chiffon), and Mira Hoffman (Crystal). Audrey’s boyfriend, dentist Orin Scrivello, is played by Jacob Peterman. Featured in several roles is Cameron Callan. 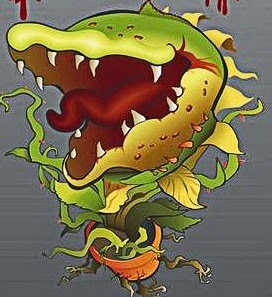 The voice of Audrey II, the extraterrestrial plant, will be done by Dale Grove. Deb Grammel is choreographer. Production stage manager and assistant choreographer is Sarah Bond. Songs include "Suddenly Seymour", "Somewhere That's Green", "Skid Row", and "Dentist." Costumes are by Caroline Good. Running the sound/light board is Elise Merrell. The plant puppets are animated by Elijah Brattain. Jessica Masner is the assistant stage manager. 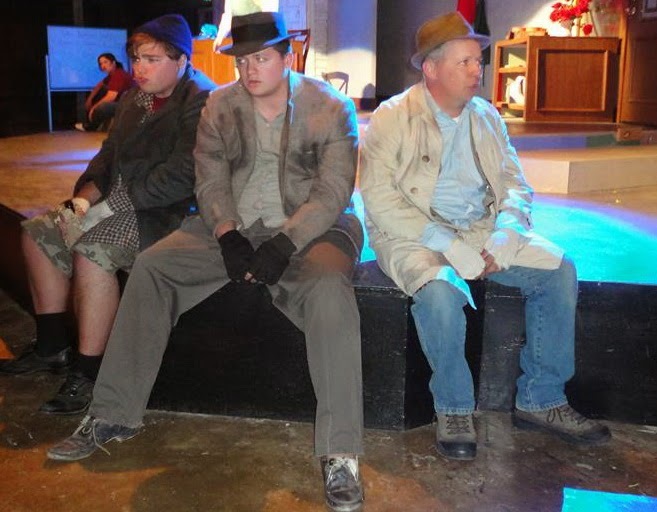 The stage crew includes James Champion, Samantha Flanelly, Madison King, and Jim Elliot. Running the spotlights are Cameron and Brandon Wunderlich. Jonathan Haze in a scene from the original 1060 movie.